Early mobilisation of thumb extensor tendon suture. 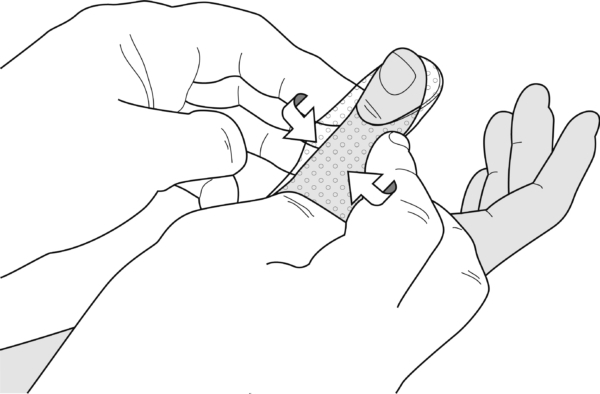 Push the thumb through the slit of the splint pattern. Fold the lateral borders at the level of the MCP joint upwards. 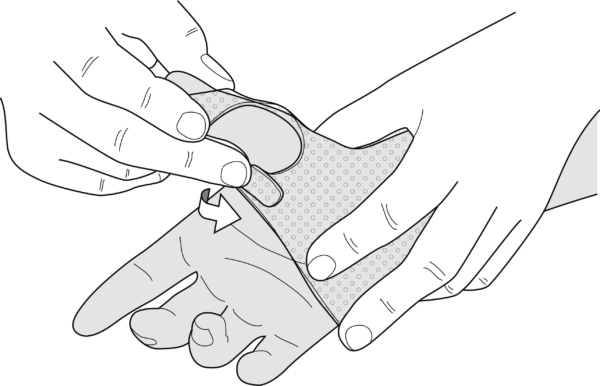 Stick the small radial lip onto the hand palm section and position the wrist and thumb (wrist 30° extension, thumb 30° flexion). Attach an Orfitube with elastic and finger cuff as described in the introduction. 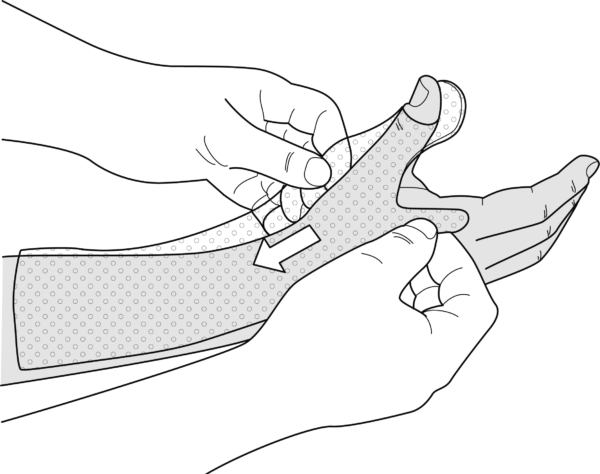 Finishing and fixation straps: Fit a broad fixation strap across the wrist and back of the hand, and a narrow one over the forearm.